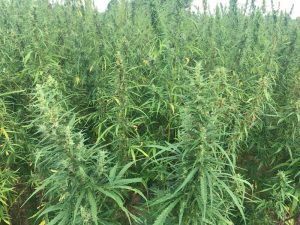 Now that it’s legal to grow hemp in the United States, a man who’s spent the last decade developing hemp “hardwood” is building a $6 million factory to manufacture the product en masse. His patented product called “HempWood” is made out of compressed hemp pulp fibers, held together with a soy-based glue. While that may sound like some newfangled version of particle board, it’s not. It looks and feels like oak, but is actually 20 percent harder than the famous hardwood tree. Thats good news for oak trees, as they are among the most endangered trees in the planet because of the high demand for solid oak furniture. The owner of the new start up company Fibonacci, Greg Wilson, was a pioneer in the bamboo flooring industry before hemp became legal. 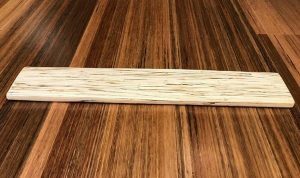 The company uses technology popularized by China’s strand-woven bamboo industry, in addition to technology developed at Wilson’s other company SmartOak, which creates engineered wood products using logs that would otherwise be converted to wood chips. HempWood will be used to make blocks, boards, flooring, cutting boards and skateboards, all at prices far cheaper than oak, the company said.